Ruth Taylor is a Senior Brand Manager at KFC Australia and has spent 2 years in this role. She is a highly motivated and results oriented marketer, accountable for driving the Individual Meals marketing strategy and activities, including ATL, social and media strategy. Ruth also leads the new product development process, successfully leading a wide cross functional team to fuel the growth of the business. She has exceptional communication skills and is strongly motivated by working in a team environment, committed to inspiring others through leading by example. 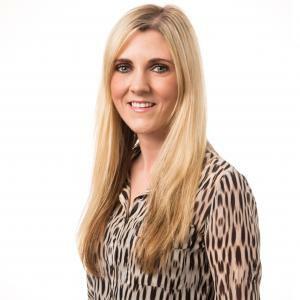 Prior to her current role, Ruth also led the New Meals and Day Parts portfolio within KFC, driving the marketing strategies, innovation pipeline development, consumer research ATL/BTL programmes and media strategy. Before moving to Australia, Ruth worked for HJ Heinz in London for 5 years working in various brand management roles across their wide range of sub brands. Moving to Sydney in 2012, Ruth also embraced the sport of triathlon as a way of meeting new friends and experiencing Aussie Culture This passion has extended to her actively volunteering within the sport and she is now the president of the Balance & UTS Triathlon Club, making a difference in the local community of Sydney’s Inner West. Her passion for sport, marketing and volunteering has enabled her to positively lead the success of the club through strong values around equality, community, charity, fun and fitness.